Michael Bixon is a life-long believer in making the best of any situation and looking forward to a bright future. He brings that same philosophy to his practice and focus in helping people facing insurmountable circumstances. For Michael, going out of his way for his clients, being available 24 hours a day, seven days a week, and ensuring they receive just representation is the only way to operate his practice. When you need a defense attorney dedicated to his clients and focused on their rights, contact Michael Bixon. He is a reputable attorney who takes his clients seriously, believes in their innocence, and will deliver the best results possible for their future. Michael Bixon is a graduate of the University of Central Florida, with a Bachelor of Science in psychology. Immediately upon graduating UCF, he attended Barry University where he graduated with his Juris Doctorate. Michael has clerked at Weston, Garrou, Walters & Mooney, where he assisted the firm in criminal and constitutional law cases. After graduating law school, Michael took the Georgia Bar exam and moved to Atlanta. In Atlanta, Michael worked with the Reynolds Law Group, where he became a Senior Associate Attorney. 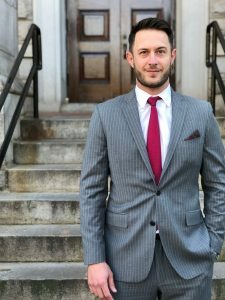 Michael has also extensively volunteered with the Atlanta Volunteer Lawyer Foundation where he has helped clients in cases regarding landlord/tenant and debt collection cases. Since founding Bixon Law, Michael Bixon has helped numerous clients, obtaining dismissals for charges of Murder, Armed Robbery, Possession of Marijuana, Aggravated Assault, Battery, Obstruction, Shoplifting and Weapons charges. Mr. Bixon has also helped clients obtain probation for cases including Drug Charges, Assault, Battery, Theft Crimes, and Weapons Crimes.